Matthew Dunn says plans for Meccabah are fluid despite the imported mare’s strong win at Doomben. 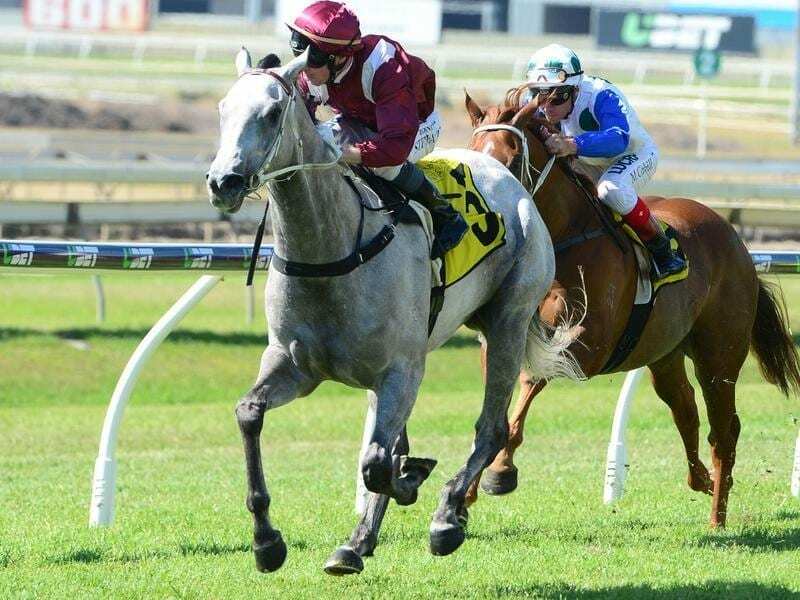 Trainer Matt Dunn will leave it up to connections to decide whether impressive former English mare Meccabah races on after her win at Doomben. A dominant favourite, Meccabah ($1.75) went straight to the lead and was far too good for a maiden field over 1660m. The mare had 10 starts in England where she placed four times at distances up to 2000m. She was bought by John Haseler’s Glenlogan Park Stud as a broodmare prospect but was first sent to Dunn with a view to winning some races. “I will leave it up to John whether she races on or goes to the breeding barn,” Dunn said. Caloundra filly Baccarat Baby ticked another box for a trip to Melbourne when she won her fourth race in a row. Trainer David Vandyke is toying with the idea of taking Baccarat Baby to the spring carnival but he wants some questions answered first before making a commitment. “I wanted to see today if she could run a strong 1600 metres and she has done that today,” he said. Vandyke got a double when The Mechanic ($3.20) won. Jockey Brad Stewart, who replaced the ill Jeff Lloyd, produced another top ride to bring The Mechanic from last to win. Stewart had ridden 18 winners since July 1 when he resumed from suspension.